YRG CARE is known in India and overseas for its research in the various facets of the spectrum of HIV infection: clinical, psychosocial, epidemiological, behavioral, and other related areas. We present our research at national and international conferences every year, and are published in peer-reviewed journals across the globe. 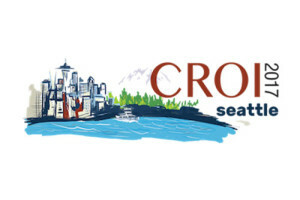 Following are the recent presentations by our researchers at the Conference on Retroviruses and Opportunistic Infections (CROI), 2017. Dr Solomon was a notable member of our HIV/AIDS research community and a previous recipient of the N’Galy-Mann Award from the Conference on Retroviruses and Opportunistic Infections (CROI) in 2010. Nandagopal Paneerselvam1, Chinnambedu Ravichandran Swathirajan1, Sunil S.
Eshan U. Patel1, Sunil S. Solomon2, Allison M.
Sunil S. Solomon1, Amrose Pradeep2, Mark Sulkowski1, Aylur K.
Allison M. McFall1, Sunil S. Solomon1, Gregory M.
Jessica M. Fogel1, Xinyi C.
Amy Zheng1, Nagalingeswaran Kumarasamy2, Mingshu Huang1, A.
Thiago S. Torres1, Linda J. Harrison1, Alberto M.